Dr. Damone B. Jones, Sr.
Dr. Damone B. Jones, Sr., is the youngest of three children born to the late Mr. and Mrs. Boykin Jones of West Philadelphia. Dr. Jones is a deeply devoted husband having been united to his very lovely wife Dr. Melissa Jones, a Marriage & Family Therapist, in October of 1991. They are the very proud parents of four wonderful children: Aleah, Damone, Jr., Alyssa and Dominic. Dr. Jones received Christ as Savior and Lord at the young age of sixteen years old. Being led by the Holy Spirit, he answered the call to the Gospel Ministry at eighteen years of age. On November 5, 1986 Dr. Jones was licensed to the ministry by his beloved father in the ministry, the late Reverend Hiawatha Coleman, former Pastor of the Mount Zion Baptist Church in Philadelphia. Dr. Jones graduated from the Lamberton High School in June of 1984. His early theological training includes Manna Bible Institute and The Center for Urban Theological Studies. Dr. Jones holds a Bachelor of Science degree and a Master of Science degree from Philadelphia Biblical University (now Cairn University) in Langhorne, Pennsylvania. Dr. Jones also holds a Doctor of Ministry degree from the Palmer Theological Seminary, the Seminary of Eastern University. Having a tremendous burden for at-risk youth, Dr. Jones served at the Philadelphia Youth (Detention) Center as Coordinating Chaplain. Dr. Jones also served as a panelist for the District Attorney's Youth Aid Panel and as President of the Police Clergy Program in the 19th Police District. Dr. Jones has also served his community as a member of the Board of Directors for the Carroll Park Community Council. In 2001, Dr. Jones was appointed by Mayor John F. Street to the City of Philadelphia Board of Ethics and in 2006 appointed to a Blue Ribbon Commission on Children's Behavioral Health in the City of Philadelphia. In 2008, Dr. Jones was appointed by Mayor Michael Nutter to the Advisory Board of the Mayor's Office of Community Services and appointed to the Philadelphia Board of Ethics in 2009. In 2011, Mayor Michael Nutter appointed Dr. Jones to the Board of Trustees of the Philadelphia Prison System and in 2015 appointed him Chairman of the Board. At the state level, Dr. Jones was appointed to serve on Pennsylvania Governor Tom Wolf's transition team, co-chairing the Review Committee on the PA Department of Corrections. Governor Wolf then appointed Dr. Jones to the Governor's Advisory Commission on African American Affairs for the Commonwealth of Pennsylvania. 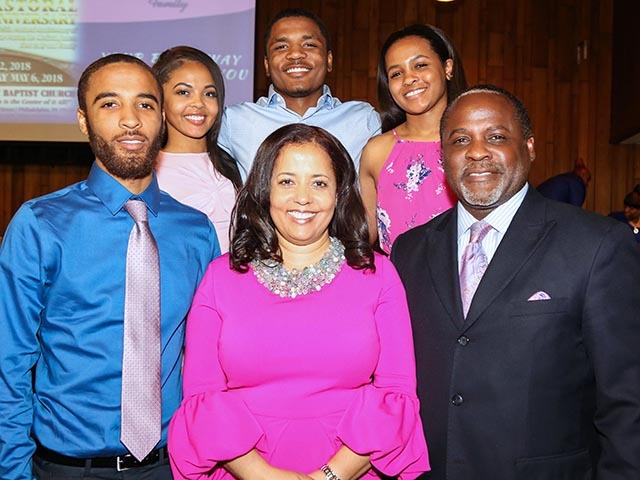 Deeply concerned for the reduction of crime in the community, Dr. Jones was the first President of the Organized Anti-Crime Community Network, which brought the first National Conference on Preventing Crime in the Black Community to Philadelphia. Dr. Jones spends significant time collaborating with the Police and the District Attorney advocating for young people in court. Most recently Dr. Jones has mentored many young men and continues to serve as a spiritual advisor to Philadelphia rap star Meek Mill. As a trusted community leader, Dr. Jones has assisted and accompanied four homicide fugitives in turning themselves in to the authorities. 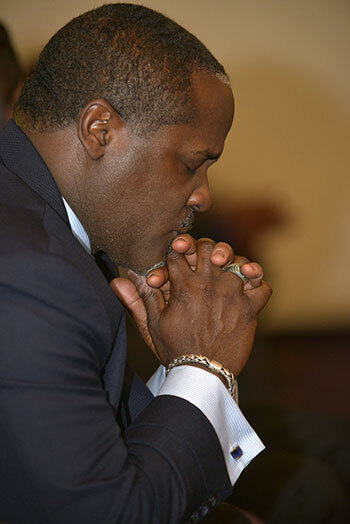 Under Dr. Jones' leadership, Bible Way Baptist Church became an approved Community Service Site for the Philadelphia Departments of Adult and Juvenile Probation. Dr. Jones currently serves as Adjunct Professor at Lancaster Bible College at the Center for Urban Theological Studies (C.U.T.S); The Eastern School of Christian Ministry at Palmer Theological Seminary and also at Biblical Theological Seminary, in Hatfield, Pennsylvania where he is also a member of the Board of Trustees. 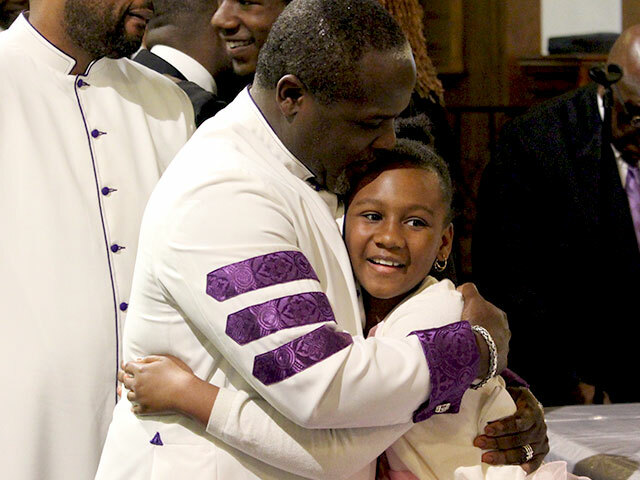 After obediently heeding God's call to the Pastorate of the Bible Way Baptist Church in West Philadelphia, Dr. Jones was ordained on November 5, 1993 at the Mount Zion Baptist Church. Dr. Jones is a much sought after preacher, lecturer and teacher. 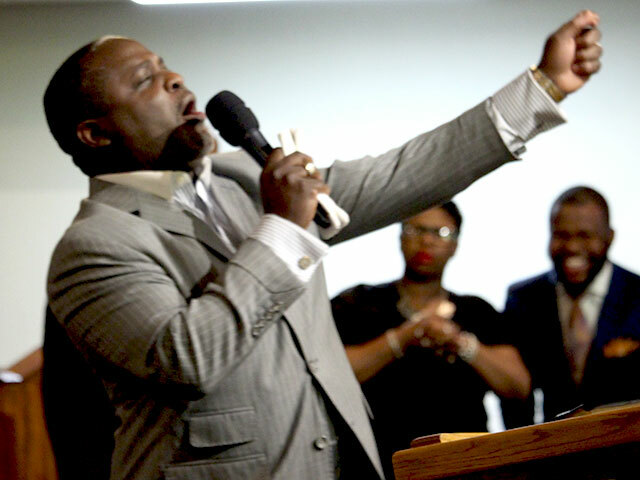 Dr. Jones has trained Deacons at a number of local churches and done numerous workshops and seminars in the areas of Men's Ministries, Youth Ministries, and his personal favorite: How to Connect with At-Risk Youth. Dr. Jones has guest lectured at Eastern University, Temple University, Philadelphia Biblical University (now Cairn University) and Palmer Theological Seminary. 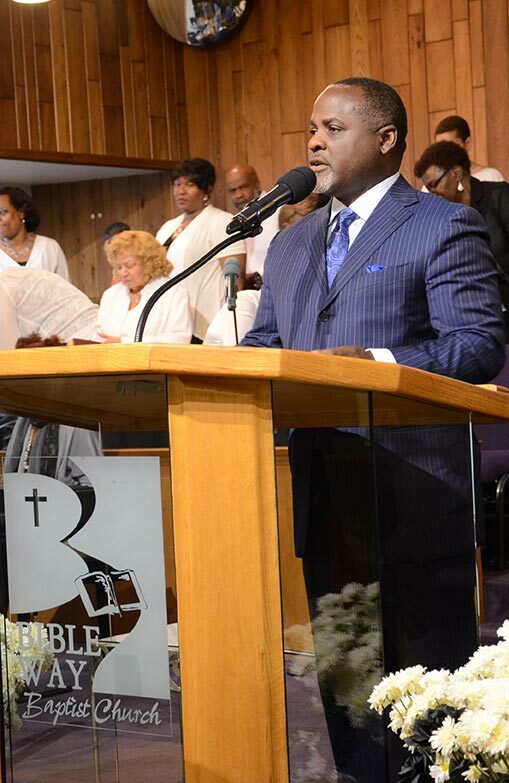 Dr. Jones is a member of The National Baptist Convention, USA, Inc., The Pennsylvania Baptist State Convention; and he is Past Moderator of the Pennsylvania Eastern Keystone Baptist Association. The Bible Way Baptist Church membership has more than tripled under Dr. Jones' leadership and more than forty-one active ministries have been implemented to serve the diverse needs of the church and community and the church continues on a steady path of substantive growth. Dr. Jones is also very proud of his spiritual sons in the ministry who began pastoring their own congregations during his pastoral tenure. They include Pastor Clarence Washington (retired)/Millennium Baptist Church; Pastor Raymond Harris/Christ Tabernacle Baptist Church; Pastor Robert J. Fontell, Jr./Calvary Christian Church; Pastor Gregory A. Johnson, Greater St. Matthew's Independent Church; Pastor John C. Gblah/International Baptist Church; Pastor Willie Singletary (former pastor) City of Refuge Church; Pastor Michael Robinson/Greater Enon Baptist Church, Pastor William A. Davis (Assistant Pastor/Service Baptist Church; and Pastor Khalil B. Rogers/Peniel Baptist Church).